Small groups who can’t quite fill up a full-sized charter bus will enjoy the convenience of simplified group travel in an 18-passenger minibus. This compact bus is the perfect option for traveling short distances around town and shuttling attendees for large-scale events. Charlotte Charter Bus Company makes booking your bus for your corporate event, wedding, sports team, school groups, and more. Call us any time at 704-302-1258 to start planning your trip today. 56-Passenger motorcoaches are perfect for large groups, especially if they’re traveling over a long distance. All of the comfortable amenities you’ll find on minibus models are available for your choosing, with the addition of on-board restrooms and spacious luggage bays. The 25-passenger minibus serves medium-sized groups such as large families and groups of corporate travelers. Head out to a day trip in Charlotte or enjoy an outing with your colleagues at a local restaurant or museum. This model eliminates the need to ask group members to volunteer their personal cars; instead, enjoy the services of a professional driver! Book an 18-passenger minibus for small family gatherings throughout Charlotte. This model is perfect for bringing in a group that’s too large to split into multiple cars but too small for a full-sized bus. Let a driver take you to every stop on your itinerary while you enjoy your trip in comfort. A 20-passenger minibus is an excellent choice for a shuttle service at an event. 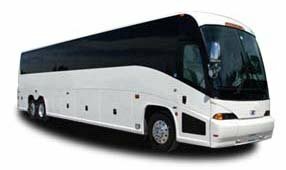 Shuttle corporate travelers to your convention center, or help transport wedding guests from their hotel to your ceremony and reception. No matter what you choose, we’ll make sure your event progresses smoothly.